The Biggest Ever Pillowtops Sale. SPECIALIST Beds & Corner L/Shape Lounge Suites Manufacturer. OPEN ON SUNDAYS 11h00 - 17h00. MON - SATURDAY 07h00 - 19h00. Come test & choose from a variety of pillowtops below for strength, comfort levels and ask me about our multiple other options. Open to the public 7 days a week & on call after hours (within 60 mins). ADDRESS: 1st Floor, 68 Balfour Rd, Jacobs, Durban. Entrance at the orange steel door on the left hand side of Bay Leaf Inn Take Away. Next to Jacobs Steam Laundry & FET College, inbetween the hostel and EIS bolts, nuts, hardware and electrical. All prices exclude delivery. Deliveries: Minimum R150 or R10 per km. PAYMENT: CASH or EFT & clearance. Card machine coming soon. PS. 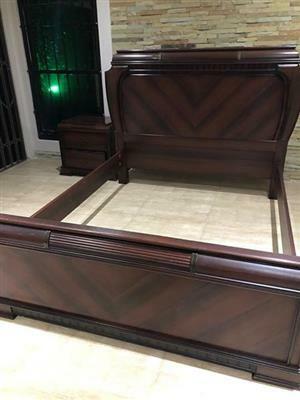 These are all Top Quality Beds. SINGLE: 1 Side Pillowtop - 3 year warranty R1200, 3 year warranty Exclusive R1300, 5 year warranty R1400, 10 year warranty R1600. 10 year warranty Executive R1800. SINGLE: Both Sides Pillowtop - 3 year warranty R1400, 3 year warranty Exclusive R1500, 5 year warranty R1600, 10 year warranty R1800. 10 year warranty Executive R2000. 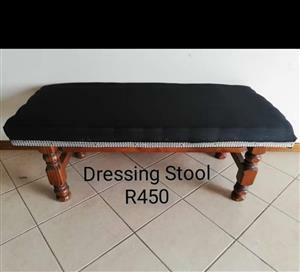 3/4 SIZE: 1 Side Pillowtop - 3 year warranty R1300, 3 year warranty Exclusive R1400, 5 year warranty R1500, 10 year warranty R1700. 10 year warranty Executive R1900. 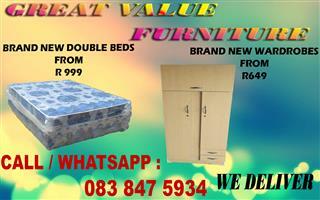 3/4 SIZE: Both Sides Pillowtop - 3 year warranty R1500, 3 year warranty Exclusive R1600, 5 year warranty R1700. 10 year warranty R1900. 10 year warranty Executive R2100. 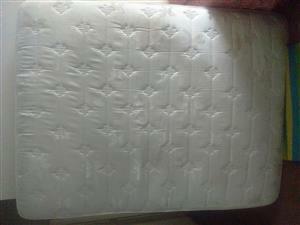 DOUBLE: 1 Side Pillowtop - 3 year warranty R1400, 3 year warranty Exclusive R1500, 5 year warranty R1600, 10 year warranty R1800. 10 year warranty Executive R2000. DOUBLE: Both Sides Pillowtop - 3 year warranty R1700, 3 year warranty Exclusive R1800, 5 year warranty R2000, 10 year warranty R2200. 10 year warranty Executive R2400. 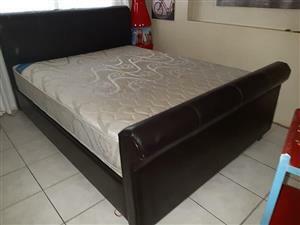 QUEEN SIZE: 1 Side Pillowtop - 3 year warranty R1700, 3 year warranty Exclusive R1800, 5 year warranty R2000. 10 year warranty R2200, 10 year warranty Executive R2400. Queen Both Sides Pillowtop - 3 year warranty R2000, 3 year warranty Exclusive R2200, 5 year warranty R2500, 10 year warranty R2800, 10 year warranty Executive R3000. 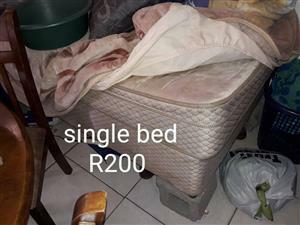 KING SIZE: 1 Side Pillowtop - 3 year warranty R2000, 3 year warranty Exclusive R2200, 5 year warranty R2400, 10 year warranty R2700. 10 year warranty Executive R3000. King Both Sides Pillowtop - 3 year warranty R2400, 3 year warranty Exclusive R2700, 5 year warranty R3000, 10 year warranty R3500, 10 year warranty Executive R3800.